Just like that name implies, the Jak Wicker Side Table is fun, easy going, and has a sharp design. 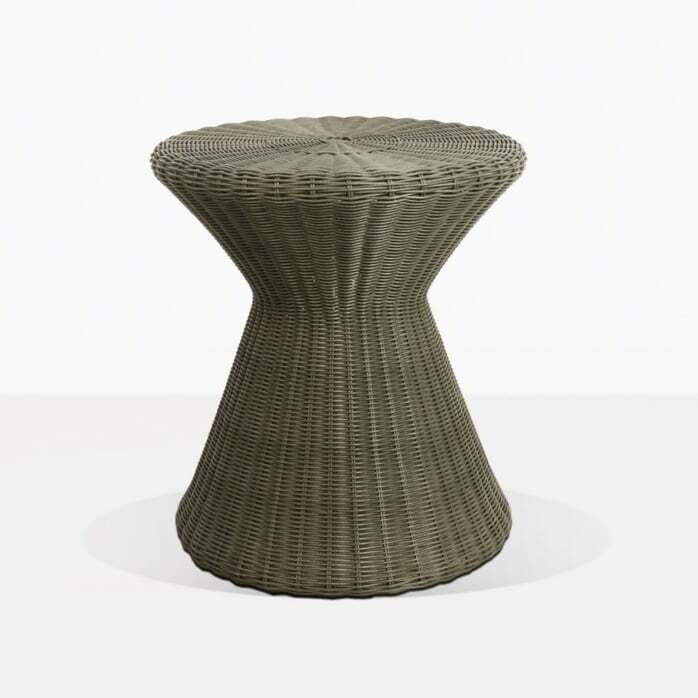 This lightweight wicker side table is an easy choice for extra functional tabletop space in your lounge area. 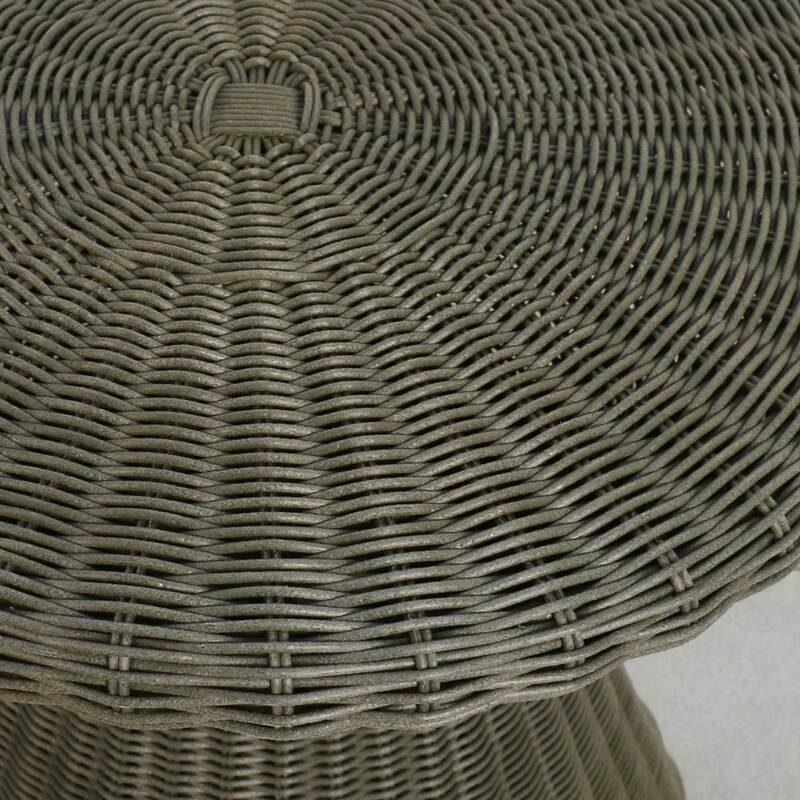 This table is constructed with a hidden powder coated aluminum frame and covered in an earthy moss green wicker weave. The weave is impeccable and woven tightly. The geometric shape is eye catching and will give your space that extra pop of style. These tables are durable and lightweight and very easy to rearrange in your space whether indoors, outdoors, or in your sun room. Our showroom in Parnell is open daily, we hope you visit! You may always call or email if you have any questions or would like to place your order today.